The Trout Gallery has taken a fundamental role in developing the college's new and growing collection of public sculpture. 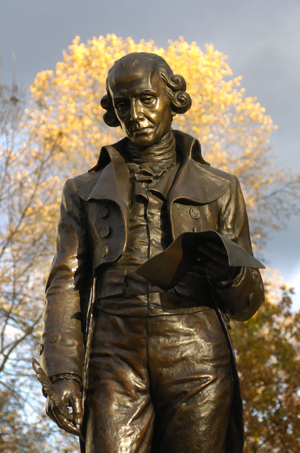 Presently, it features a pair of fine bronze castings, both of which, coincidentally, were cast in the same year. 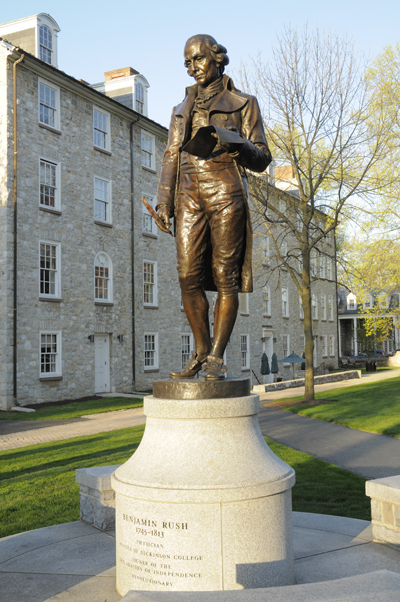 The statue of Benjamin Rush stands in front of Old West, the original college building which he helped fund and establish. The casting is a modern version made from Roland Hinton Perry's original bronze, which stands on the grounds of the Army Medical Museum and Library (formerly the Naval Hospital) in Washington, D.C. the casting demonstrates the lingering Beaux-Arts style popular at the end of the nineteenth and early twentieth century. 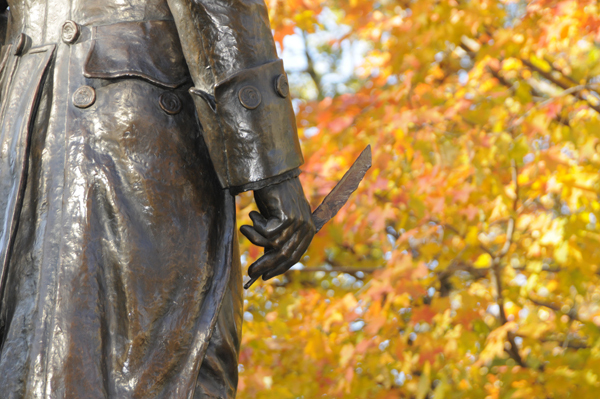 This version was cast from molds taken from Perry's original by the Johnston Atelier. 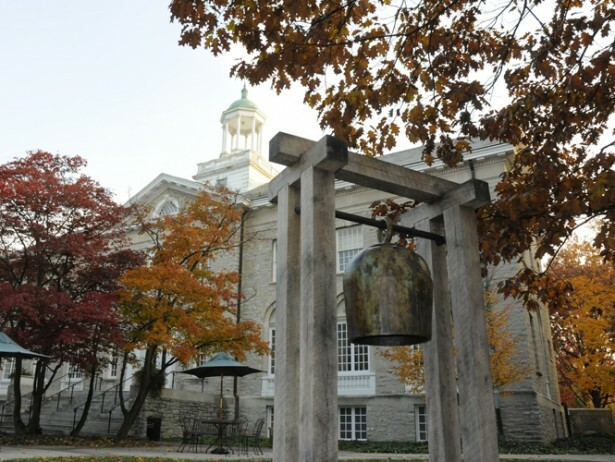 The Toshiko Takaezu bronze bell Autumn II was acquired to mark the entrance to the Emil R. Weiss Center for the Arts. 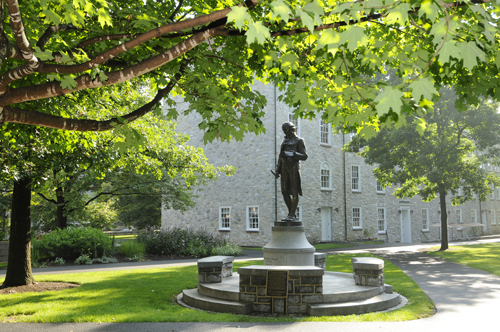 This is the home of The Trout Gallery and the departments of Art & Art History and Music. 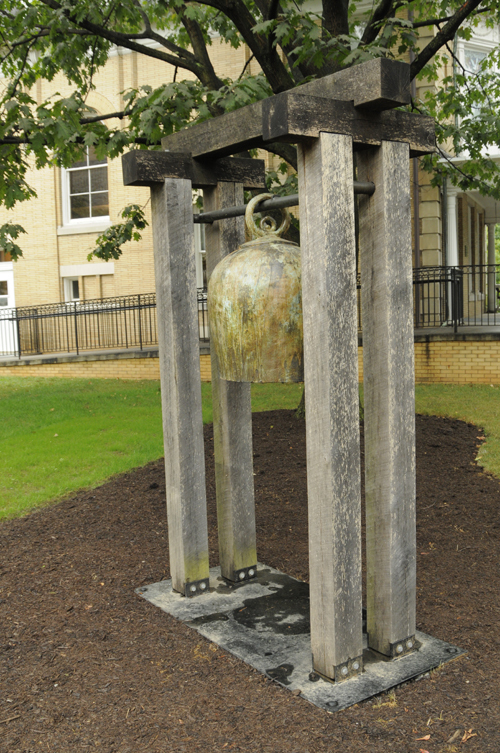 The bell is not only a fitting work for visual artists and musicians, it also makes reference to the original bell that once stood in the cupola of Old West, which marked the hours of the academic day throughout the nineteenth century. Toshiko Takaezu, a master ceramicist from Hawaii, designed the bell according to Japanese models. Consequently, it lacks an internal clapper. To ring the instrument, one must strike its exterior with a large wooden mallet. 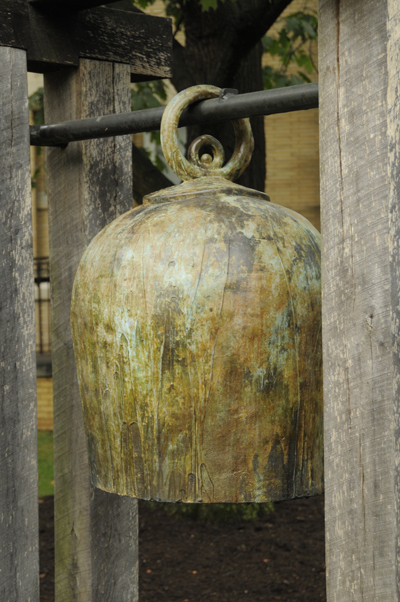 The bell was cast at the Johnston Atelier as well.